Despite the weather we had a decent turnout on Sunday at the Washington State Convention Center. 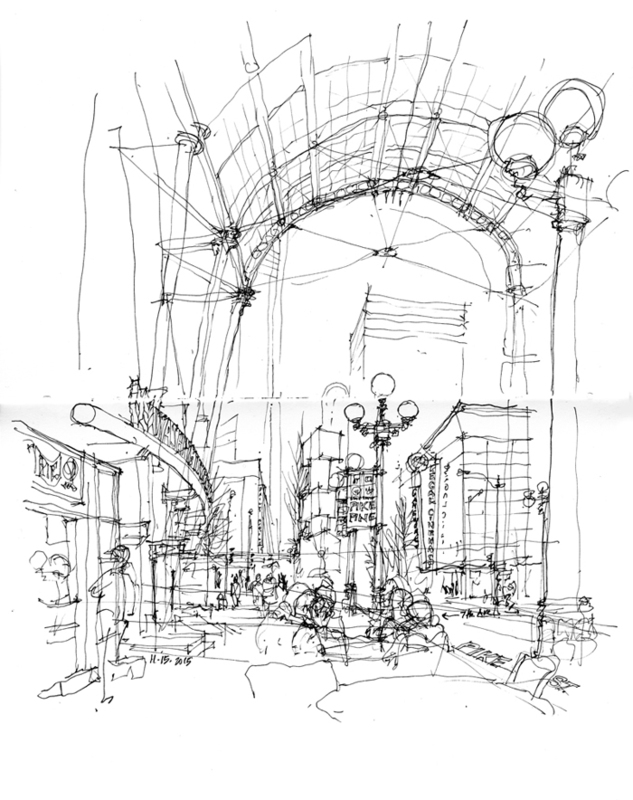 Rather than draw inside, I sat at a table outside and drew this view looking west down Pike Street. The arched vault of steel and glass is what makes this one-block section of Pike Street unique.